One of the most unique benefits of using online proposals is that you can go beyond basic text and images to showcase your expertise. A great way to demonstrate what you're capable of is to create a video portfolio and embed it into your proposal. You can also use videos to introduce your company, present testimonials, or give instructions. Embedding videos is easy. The toolbar menu has a video insertion option. 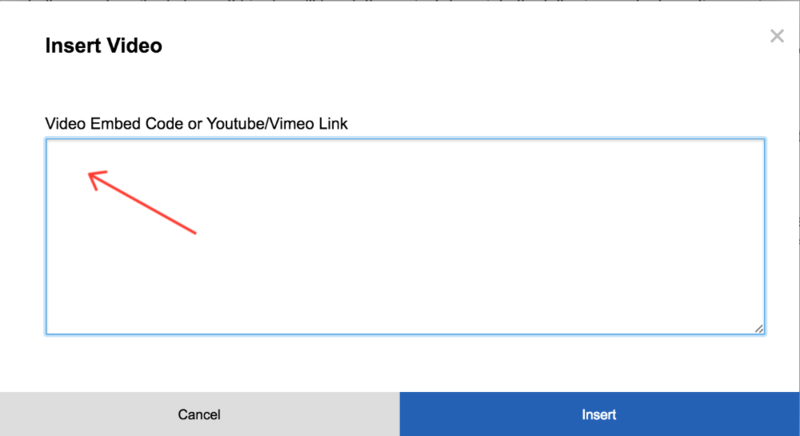 All you have to do is put your video on a hosting site (like YouTube, Vimeo, Viddler, or DailyMotion), copy the embed code, paste it into this box, and click “insert." Now your video is ready for viewing. When your client opens up your proposal in their browser they'll be able to watch your video, and be impressed by your innovative use of modern tools.